KONK! was first thought up by Alex - an ex-architecture graduate that didn't want to be an architect. Alex began making industrial style furniture on a small scale, focusing on using quality materials and building stuff that lasts. The combination of Alex's passion for great design and onomatopoeic words has led to an expanding team with a variety of backgrounds and professional training. Here we all are - still based in Bristol, and still happy to be making lovely furniture. 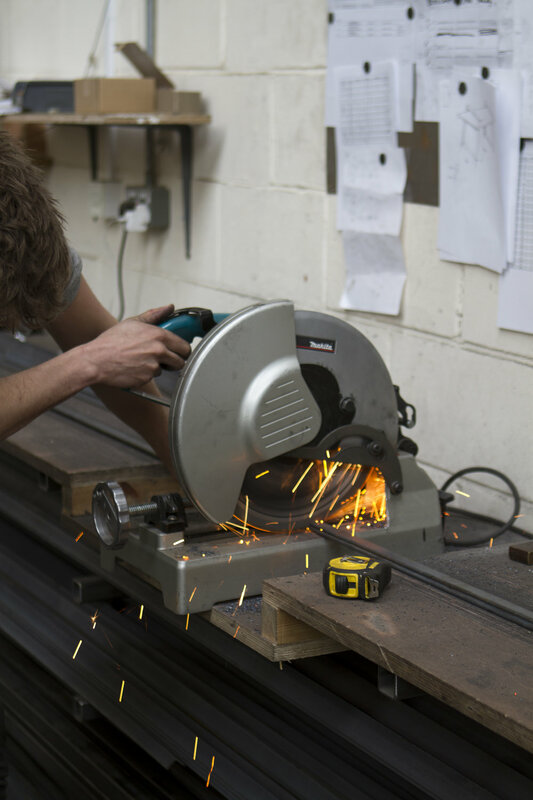 The heart of our business is based around customisation. Affordable customisation. We don't add large fees for making our products bespoke and are always happy to be flexible in our designs. You da' boss! Take a look at our bespoke page for more info on this handy service. 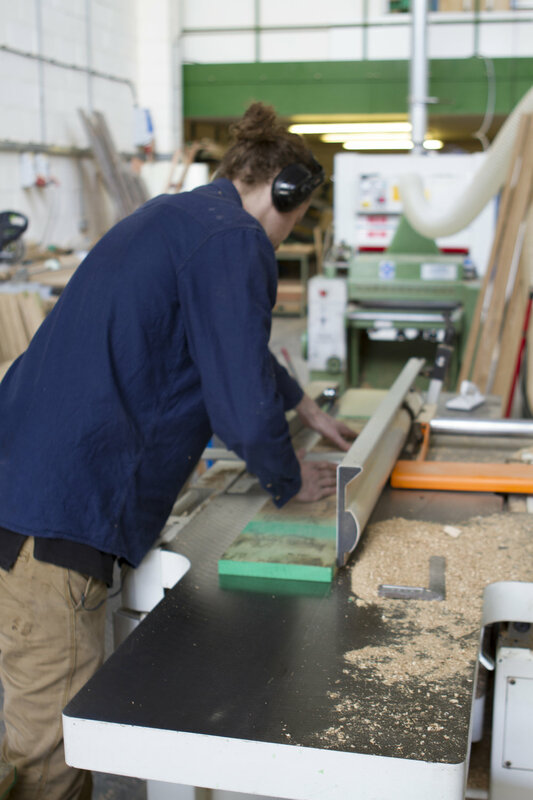 From our very beginnings we have been set on using the best materials, from sustainably sourced Oak, to our industrial grade fixings and mild steel, creating beautiful furniture that's built to last! All of our furniture is made from solid wood. Sturdy stuff. Have a look at our finish options to see the range of finishes available for your furniture. If you've got any questions about our materials, get in touch. Two or tree years ago I started KONK! With it's roots in the industrial style we have quickly grown to encompass many other branches of design. It is my beleaf that good design should stem from simplicity and functionality. We combine grainy photography and modern camera work to create a 'photo synthesis' of all our products. Yew might think this is sappy, but bark when I was young, I saw my grandfather teach me that's it's Oakay to make mis-stakes along the way. I used to Pine for the day that I could have my own workshop near the Beech. Even as young as two it was Plane Ash day - Fir it was my destiny, and although everyone told me it Walnut work, I had an unshakeable beleaf it WOODWORK.